Thermal Tolerance in Stingrays — C.O.R.E. Ectothermic animals rely on environmental temperatures in order to regulate their own internal temperature, and as a result of the influence on physiological processes, temperature is regarded as the abiotic ‘master factor’ in ectotherms. The movement and use of space by ectotherms may therefore be driven by selection of habitats with temperatures that maximise efficiency of key processes such as growth and reproduction. As a result, populations may show different responses to temperature across ontogeny (i.e. juvenile vs. adult) or over time periods due to changes in life-history trade-offs (for example allocation of resources to growth or reproduction) to maximise fitness. However, when an organism cannot move among different habitats due to the cost being too high relative to staying, what happens? 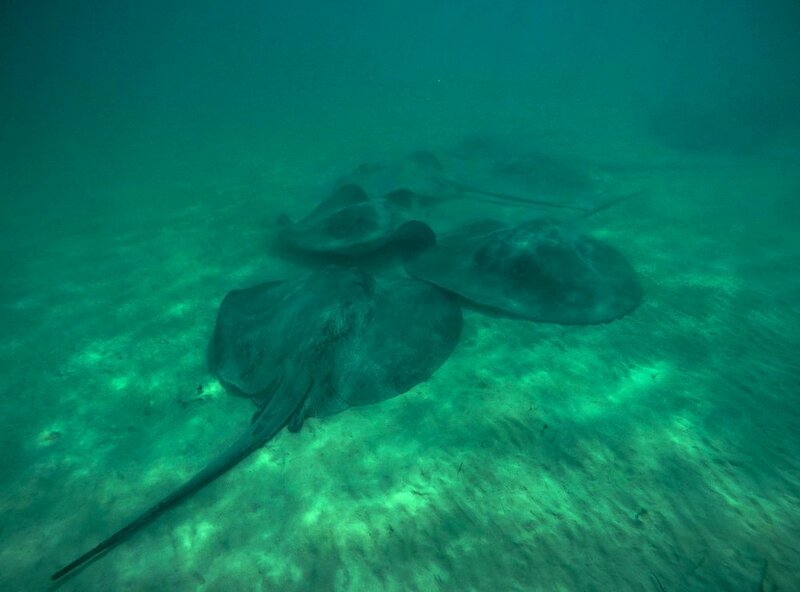 In The Bahamas, stingrays utilise intertidal mangrove creek systems as nursery habitats and spend several years in these environments as they mature from juveniles to adults. This affords protection from predators as well as providing relatively stable prey resources, theoretically enabling longer-term survival before transitioning to adult populations offshore. These creek systems experience significant environmental stress such as tidal flux and increased temperature resulting in lower oxygen availability, increased salinity and pH, requiring organisms to be incredibly resilient during their occupation of these systems. This projects aims to address how juvenile chupare stingrays are able to tolerate such thermal stress without compromising behavior or other critical components of their physiology. This research may contribute insight into how coastal marine taxa are able to adapt to increased temperatures without the luxury of being able to simply migrate away from sources of thermal stress.